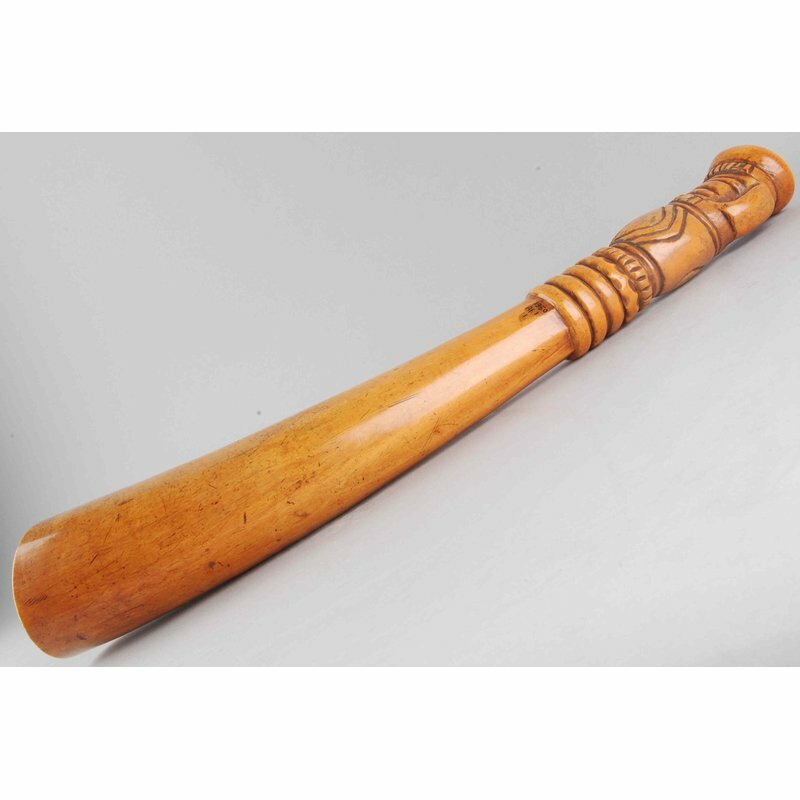 This is a musical horn, made out of ivory. 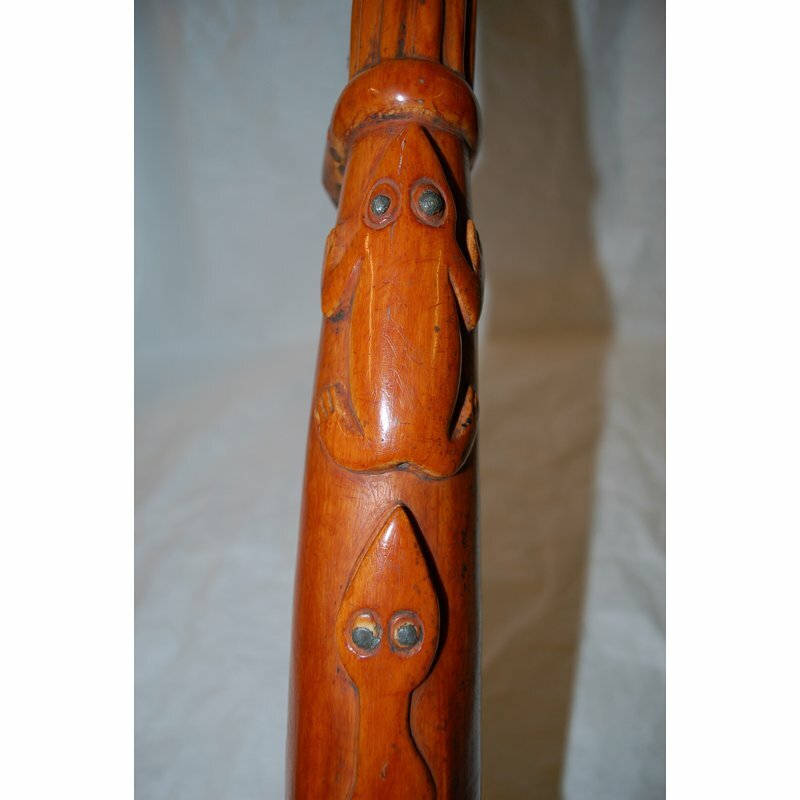 It has a side-blown mouth piece and is decorated with a carved snake, swallowing a frog. 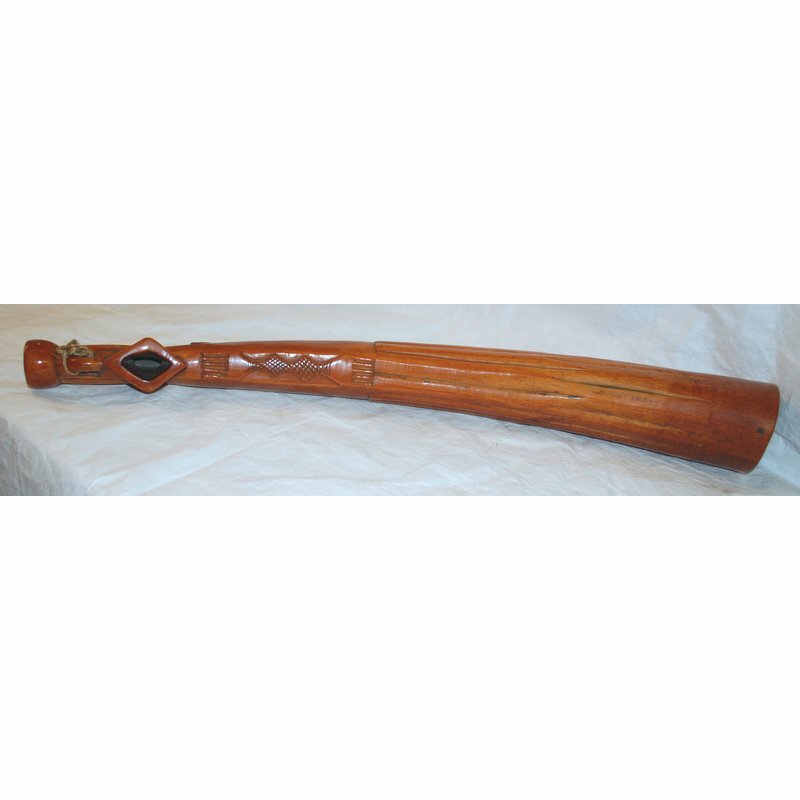 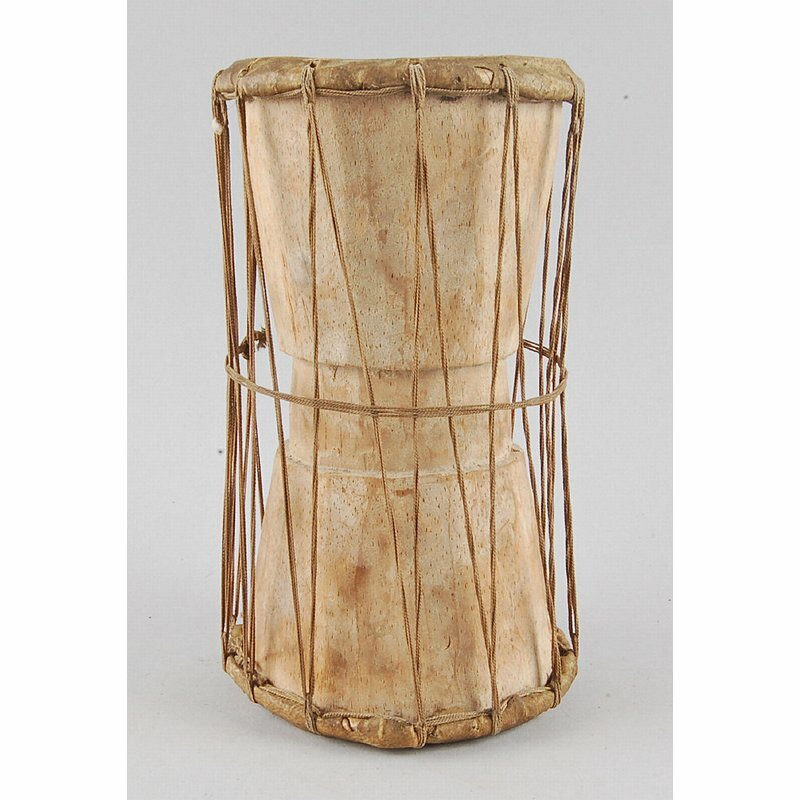 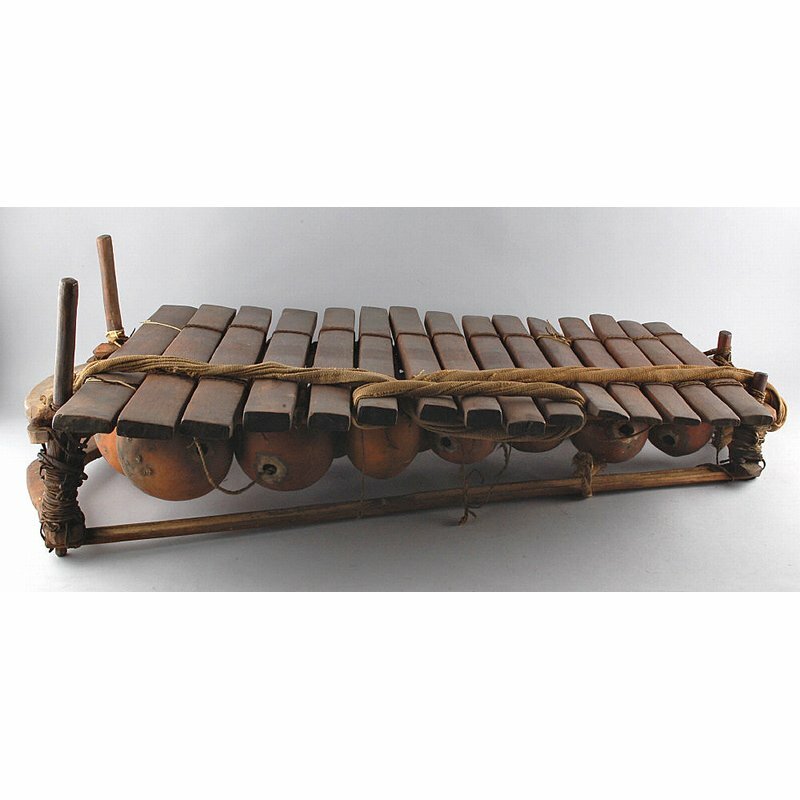 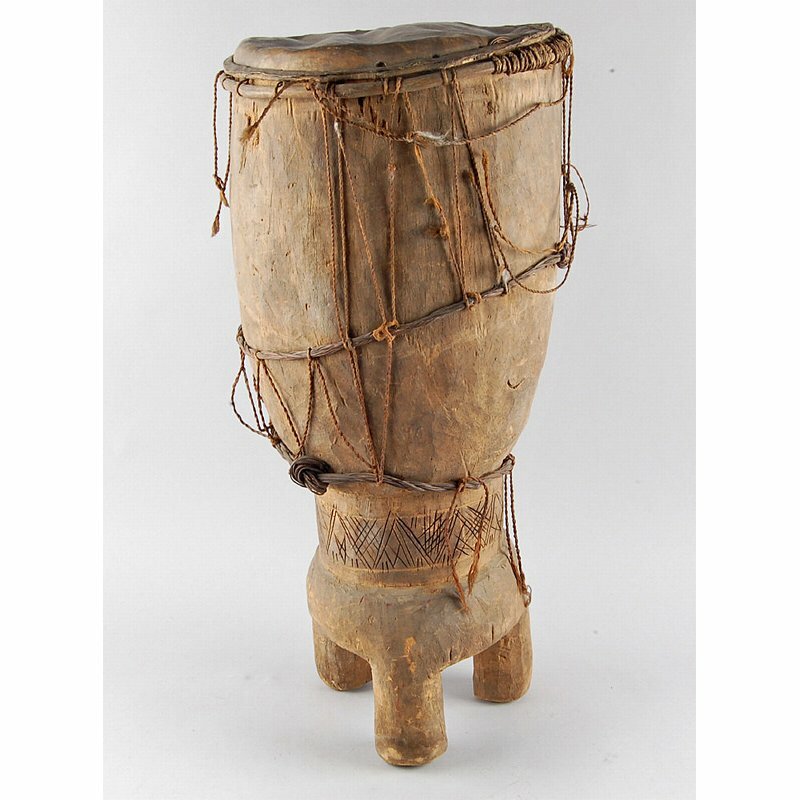 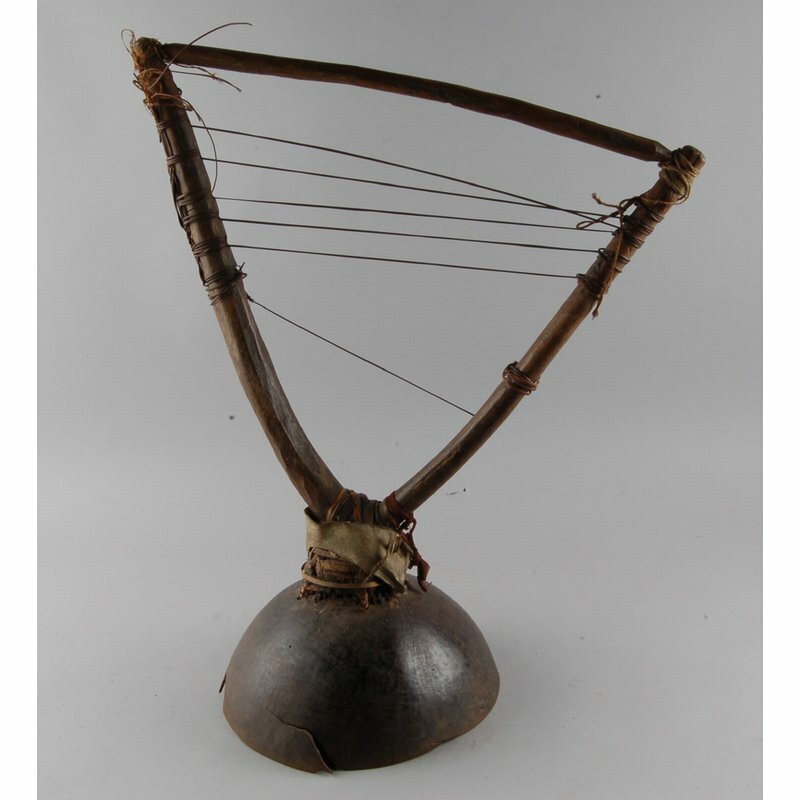 It is described as a Kissi, or Kisi, horn, from the Sierra Leone-Guinea-Liberia border. 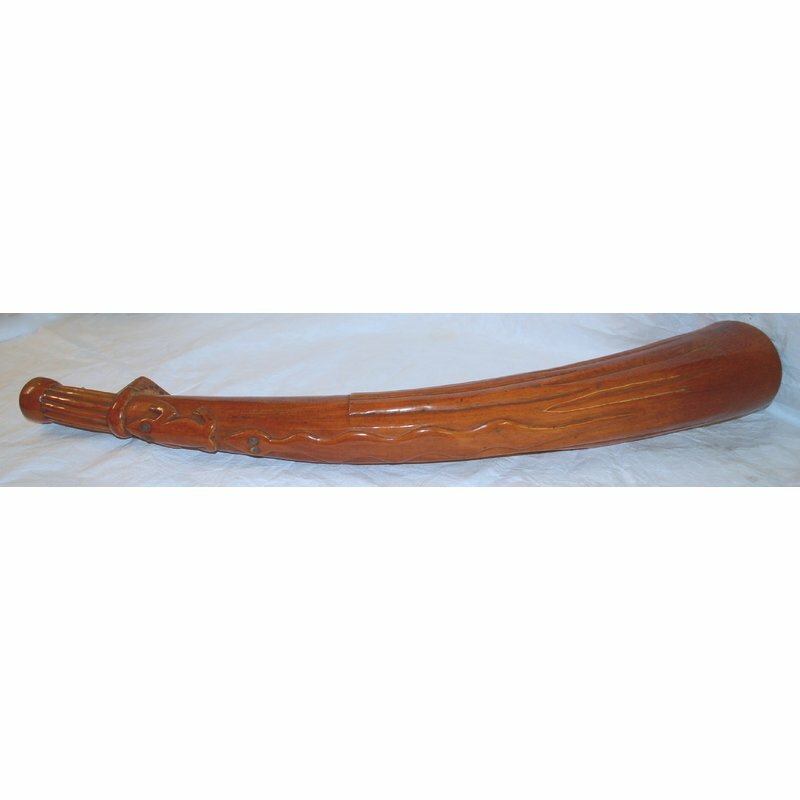 Horns of this kind were often called war horns but a chiefs horn is a more accurate description as they were most commonly played by a hornblower who attended the chief.